« What should an ideal Healthcare Model offer? 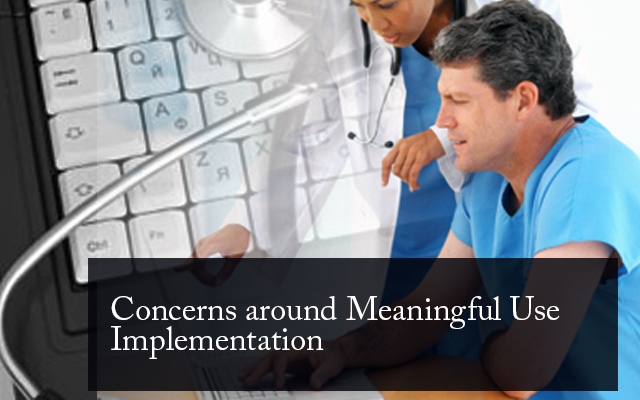 If one were to dig down and understand the real intent of implementing EHR and meet Meaningful Use criteria, it would be nothing but to achieve improved outcomes, better efficiencies and lesser healthcare costs. The healthcare delivery mechanism is expected to become much better as a result of this. However, somehow the focus seems to be revolving more around evaluating healthcare setups to determine their incentive payment eligibility, based on Meaningful Usage, rather than understanding the core issues which stand in the way of its implementation. In its current state, it is becoming more and more difficult for hospitals with limited resources to attain MU eligibility. The ones who fall into this category include smaller critical access hospitals and community health centers which generally treat patients with lower income and are more often than not uninsured. Although they seem to be using EHRs which are in some shape, it is in attaining MU certification where they seem to be falling short – primarily due to lack of availability of resources to invest, low patient volume and difficulty recruiting qualified IT personnel .On the contrary, the bigger hospitals with deeper pockets and superior resource access seem to be having a better ratio of eligibility. The matter is likely to get worse when eventually hospitals start getting penalized after a few years. It will result in job losses of physicians and hospitalists employed by the smaller setups. This will ultimately lead to the whole purpose of implementing MU EHRs going for a toss. At the current rate of progress, it will be the patients who will suffer at the end of the day. This consequence was not preempted before the roll out started and hence some short-terms solutions are being suggested in order to handle the situation. For e.g. extending the last date for stage 2 implementation is one such option. The other one being mooted is that of the extending help to the struggling medical setups to expedite the process of full implementation of EHRs. Without concrete steps it would not be possible for the government to reach the stage it envisages to i.e. that of sharing patient data across providers and have clinical information following patients wherever they receive care. One of the major stumbling blocks while attempting to qualify for the incentive program is that of meeting the requirement for computerized provider order entry. This issue seems to be more pronounced in the cases of hospitals which have failed to qualify for the incentive. It is not just the technical gaps but also the cultural and organizational ones which contribute to it. For the setups which achieved MU, the concerns hovered more on the technical front; related more towards providing patients secure and easy access to their data , identifying the factors that contribute towards the calculation of the quality measures and generating the data for the same. In a broad sense though, all this has cast a shadow on the pace at which Health IT adoption was expected to pick up and given its detractors an opportunity to hit back. Meaningful stage 2 adoption seems to be bane of many such groups. One such feels that there is not enough time available to validate the e- measures and so just implementing the software in practices will not necessarily mean that the objectives will be met automatically. Also, not every measure is of equal importance or value to every practice. For the physicians which have successfully completed stage 1, vendor readiness is posing a problem .Without the appropriate software updates and required support, Physicians will be unable to meet the Stage 2 requirements and get penalized without apparently any mistake from their end. The general consensus is thus on extending the date for Stage 2 implementation by a year to avoid outstripping the capacities of vendors and physicians and risking complete derailment of the overall Health IT adoption process. This will allow the some exemplary practices to successfully implement Stage 2 requirements by 2014 and share their experiences and learning with vendors and providers for faster and efficient adoption at a broad scale subsequently. Healthcare software development teams can help you build projects within allocated budgets and time schedules. We provide healthcare testing services. If you would like to get your application tested by our certified healthcare software testers, please contact us at Mindfire Solutions.